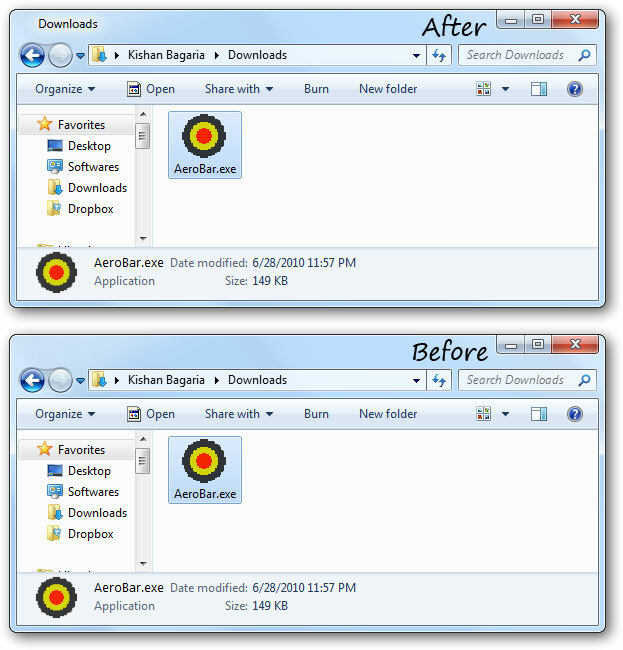 AeroBar is a free portable tool that shows the titlebar text in Windows 7/Vista Explorer. Normally, all other apps have the titlebar text but Windows Explorer doesn't. Just run the tool and it will show the titlebar text. Run it again and it will remove the text.